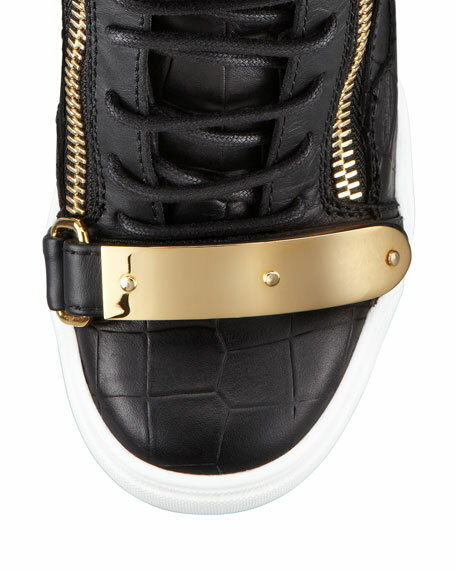 Equipped with a funky vibe: This sportif-crafted Giuseppe Zanotti sneaker comes with heavy hardware and croc-embossed leather for an active-meets-exotic look. 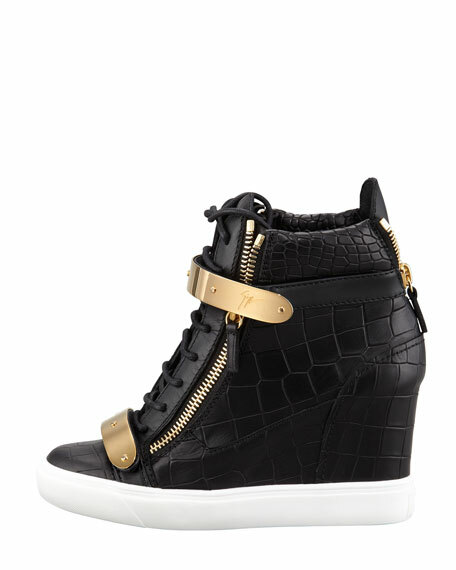 Now with a hidden wedge heel for added style and height. Crocodile-embossed leather upper with golden hardware. Lace-up front with metal grip strap across vamp and round toe. 6" side zips for ease of dress; 2" zip detail at back of heel. Leather lining and padded footbed.